← Out The Mouth of the Great Fish- (Demeter- the Goddess of Famine) Lola is that you? 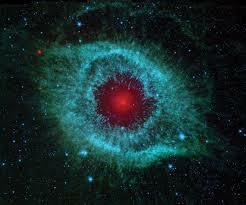 Fomalhaut means “Mouth of the Great Southern Fish”. It is located in Piscis Austrinus. It is a lone prominent star in the night sky, being nicknamed the lonely star of Autumn, and one of the brightest. It is also referred to as the “Great Eye of Sauron” due to its shape and debris ring. Fomalhaut was worshipped as DEMETER. Demeter was an agricutural goddess who was also known as the mare Goddess. She rode a BLACK HORSE. i.e. FAMINE. She was married to Poseidon hence—– she is the mouth of the great fish! (DAGON) . The THIRD HORSEMAN of the book of Revelation.. We have identified her as Angelina Jolie in my previous posts. The EYE OF SAURON relates to SYRIA. Syria is a shortened version of Assyria from which the Antichrist or THE ASSYRIAN is referenced. Sauron was an ancient ruler who established BABYLON from the Chaldean/ Sumerian cultures. It is said he built Nineveh where Jonah was sent to prophesy. There were legends written about Sauron as he too was a seer, and ancient texts have been discovered. He is most likely the father of the Syrians of today which are a genetically distinct race of people. Syria was and will continue to be in the limelight as the black horse of famine unfolds. The EYE of SAURON has been featured extensively in the Lord of the Rings trilogy as these writers such as Tolkien are students of the mystery schools and have been well versed of these legends and their sorceries. Sure the books have been embellished, but a lot of the characters were actually Sumerian and Babylonian kings and sorcerers. The EYE is the ALL SEEING EYE and hence the media “FOCUS” on SURVEILLANCEe at this time is also at the forefront with the NSA- Snowden Hoax being propagated in the forefront of the media. Between the Snowden scam and the Treyvon Martin Case scam the country is being polarized. You are being played by the media and the Global Elites who play both sides of the fence and “PITT” (aka Angelina Jolie-LOL! ) one side against the other. This is all by design. They feed off the passionate emotional energy that is created from the drama… Like VAMPIRES. Well Keep your EYE on SYRIA because this is a critical End Times piece. I believe they will use a UN intervention there to justify implementing their world police system in the name of PEACE. (Yeah, right). They will fuel the fire there and kill thousands, and also put Israel in grave danger, which is the ultimate mark for the Antichrist. He wants Jerusalem. Posted on July 12, 2013, in Bible Archeology, Bible Figures, Book of Revelation, Illuminati, New World Order, The Mazzaroth and tagged Eye of Sauron=Fomalhaut, Syria and the Antichrist, The all Seeing Eye of Sauron, The Lord of the Rings and the Book of Revelation. Bookmark the permalink. 5 Comments. You need to read more of my posts on the NWO. See also StoptheCrime.net. Deborah Tavares Site.